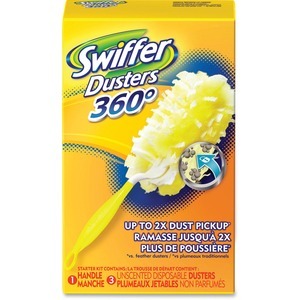 Swiffer 360 Degree Dusters remove up to 90 percent of allergens from cats, dogs and dust mites. Thousands of fluffy fibers clean deep into grooves and crevices to trap and lock dust and allergens better than regular dry cloths. 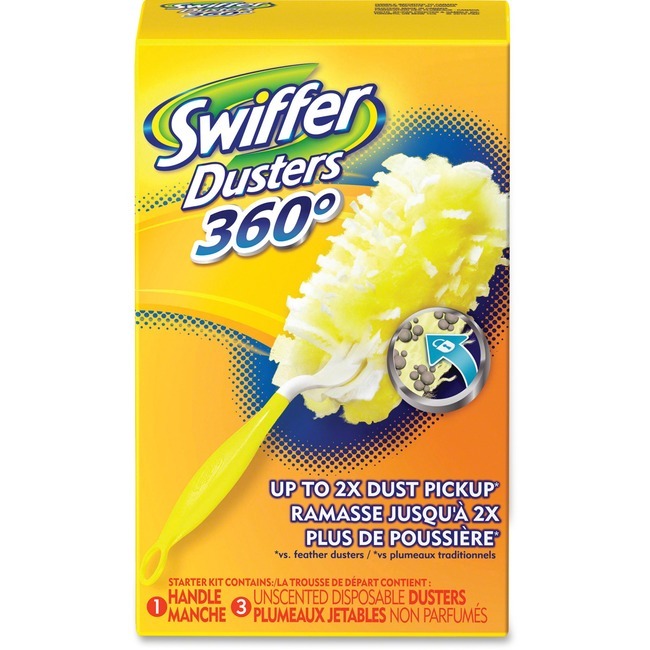 All-around design has 50 percent more fibers than regular Swiffer Dusters, allowing it to lock dust away for good. Starter kit includes one handle and dusters.